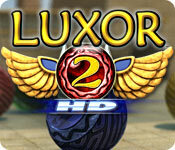 Luxor 2 HD is rated 4.4 out of 5 by 17. Rated 5 out of 5 by ElNirmalSitaldin from The Egyptian Marble Popper Game HAS RETURNED! 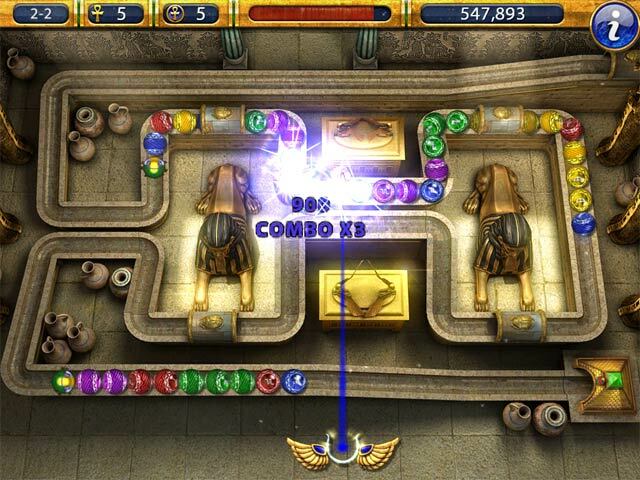 Travel back to Egypt to go through cities and pass through the level by the iconic marble popper game play! 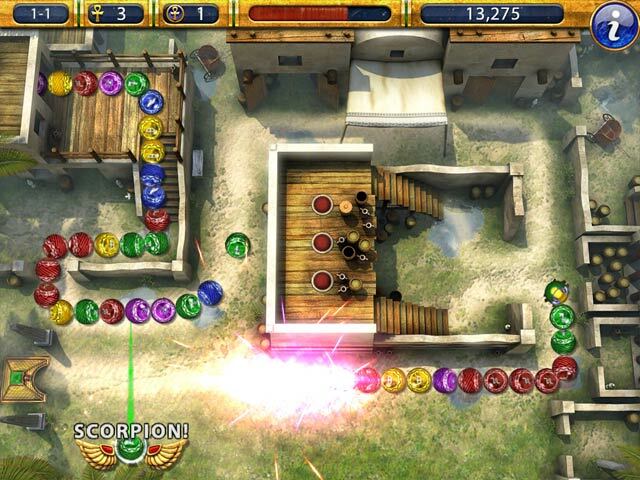 Boost yourself by catching bonuses and upgrades that help you on your quest and defeat as many scarabs as you can! The game is exciting to play for marble popper gamers. The HD motion of the game is well done, the sound quality is great and the gameplay is smooth. I recommend this game! Rated 5 out of 5 by mrm2006 from Super Duper Excellent Game!!!!!!! I have played many ball/marble shooter type games before. Am pretty good at them but never really liked them until I discovered the Luxor series. I played through all the games in the series and picked several as "keepers" and purchased them. THIS ONE gets added to my list of great games to own. Storyline: None that I can recall. Graphics: Amazing colors and bombs and Ankhs and jewels and golden rings and everything was just spot on beautiful. Sound: Rescued a teesy baby puppy last week and she was asleep on the pillow by my arm so turned it down low but I like the background music - didn't find it repetitious and it didn't get on my nerves - major big plus. Other than that......sound effects! Oh my gosh - YES! Bombs exploding everywhere and you heard everything. Even all the bonuses as they got dropped - magnificent. Game Play: Typical of most marble/ball shooter games and definitely the norm for Luxor games......you get a ball at the bottom of your screen. Your goal is to get matches of 3 or more balls of the same color and destroy everything on your screen. You will gain bonuses and collect gems and Ankhs. For every 50 (I think) Ankhs you collect you get a free extra life. My only confusion was the Bonus Game at the end of the level. No instructions on how to play. Not even in the instruction page. I just kept shooting and balls were disappearing and ultimately I shot them all off the page. Voila! Bonus Level completed. This Area is FINISHED! YAY! 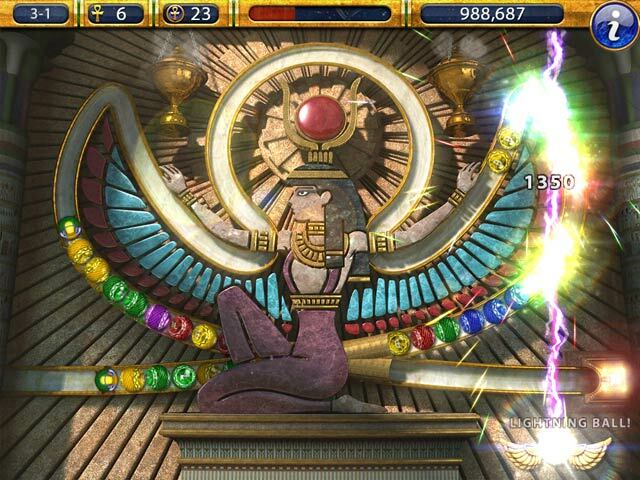 This Glam-ma has NEVER experienced such a "WOW" factor in this type of game before - not even my beloved Luxor games. But this game? When the demo ended, I was like "NO! NOT YET! I HAVE TO HAVE THIS GAME!" Unfortunately, I have to wait a few days for bonus punch Monday. I girl's gotta do what a girl's gotta do, right? This Glam-ma says play, play, play this game. I'm sure you will enjoy it at least half as much as I did. It's free and all you have to lose is an hour. The review of this game is based on this Glam-ma's unbiased opinion - and only mine. Therefore, if you found this review to be helpful, please click on the "yes" button below. There is also a "no" button. Seriously? You'd give your Glam-ma a "no"? Kidding. Happy Gaming! Rated 5 out of 5 by SGunn from This is really a fun Luxor game! It's been a long time since a Luxor game came out. I'm really enjoying this one. I'm a senior citizen and playing this game really helps me with focus, sharpness and just having fun. I challenge myself to get 100% each game. The only thing that I find annoying is that if my cursor drifts up to the upper right hand corner, when I'm shooting at a marble, it clicks on the Information button up there and takes you right out of the playing area to the info screen. It would have been better to put that in the lower left corner. But, other than that, this is really a fun game. I love it!! I definitely recommend this game! Rated 5 out of 5 by jollymolly from Great Marble Popper! I love this game. I had Luxor and Luxor 2 but they do not work with Windows 8 so this was great to be able to go back a little.! Why not make the original Luxor compatible with Windows 8? I miss all games that are no longer compatible with the later windows versions! Great Game!!! Rated 5 out of 5 by earthfairies from Awesome Game I love the Luxor Games. This one has excellent Graphics and is a Great Challenge. Highly Recommend. Rated 5 out of 5 by roselady9000 from Best Luxor Game for Beginners I have really enjoyed, but been frustrated by the earlier Luxor Games because I am not quick enough. This game has several playing levels. One of the levels is a beginner's level and I am farther on this game than I have gone with any of the others. Rated 5 out of 5 by nolagal from Great Popper Game I am a fan of Popper games and this one is the best by far. Great graphics, challenging and fun to play. Played Luxor games years ago and they were great but this is tops. Rated 5 out of 5 by RenaRF from If you liked some of the other Luxor games, this one's good also! I like this game. I was a fan of Luxor 5th Passage (though I found the cutscreens that couldn't be skipped highly annoying) for its beautiful graphics and levels, and this game has the same feel only it's been updated.